An interesting phenomenon has been popping up around the country: Squatters attempting to claim ownership of vacant or foreclosed homes because, they say, their religion gives them the right. That's what 28-year-old Lamont Butler argued as he attempted to take over a gaudy $6 million home (pictured above and in the photo gallery at bottom) that, The Washington Post reported, was vacant and up for sale in Bethesda, Md. Butler (pictured below) said that he claimed the home as a Moorish American national and member of the Moorish Science Temple of America, a religious group founded in the early 20th century. Some who say they follow its precepts preach that African-Americans lived in America before European settlement and so don't need to abide by U.S. laws, such as those pertaining to property ownership. By this rationale, Butler claimed ownership of the Bethesda mansion. "If only a palace will do," the home's listing says, "this is your home." It's a 35,000-square-foot juggernaut of a house with 12 bedrooms and 17 bathrooms, imported marble floors and limestone terraces. The home that once played host to political bigwigs such as Bill and Hillary Clinton, now was rightfully his, Butler said. According to the Post, Butler went to Maryland's Department of Assessments and Taxation with a historic map and documents referencing peace treaties, then asked that tax records on the home be updated to reflect his ownership. The department refused to do so without a deed showing a transfer of ownership. After that, Butler allegedly entered the empty home on two occasions. Neighbors alerted the home's owner when they saw cars parked out front. When police arrived at the house after complaints, they found "No Trespassing" signs hanging in the windows, a stereo on full blast and food in the refrigerator. Butler sent emails to real estate agent Jordan Fainberg, who represents the home's listing, stating: "Even though there was no false arrest made ... by the Public Servant Trustee Police Enforcers for the private foreign corporate-for-profit entity styled as Montgomery County Police Department, and conversations ended on peaceable terms, I, as well as others, will be coming to the land property estate this week." 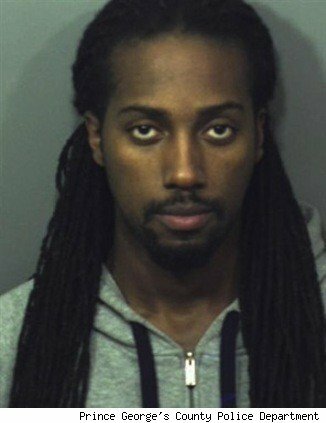 Butler was eventually arrested, the Post said, and along with the case of breaking-and-entering against him in Bethesda, he'd already been charged elsewhere with identity theft and concealing a dangerous weapon. Authorities say that his claim on the Bethesda mansion holds no weight. But this very odd case is no isolated incident. People calling themselves Moorish Americans have been attempting to take over properties all over the country. "I can promise you that every state has had their challenges with these guys," Carol Foglesong, a land records official in Orange County, Fla., told the Post. States including Virginia and Maryland are even passing laws to impose stricter penalties against those who attempt such property takeovers. Earlier this month in Memphis, Tenn., a woman claiming to be a Moorish American was arrested after allegedly breaking into and squatting in a $3.1 million mansion, Memphis TV station WHBQ reported. In that incident, a SWAT team stormed the home to remove Tabitha Gentry and her teenage daughter. Gentry claimed that her status as a Moorish American national meant that the government could not control her. Squatting: Social Menace or Economic Necessity?